Our full suite of web services encompass all of your brand’s vital online presence. Our web services include SEO, Social Media, Paid Search, Rich Media, Content Creation, Re-Marketing, Web Development, Mobile Applications, and more. With nearly a decade of experience and over 150 awards for our full suite of web services, you can rely on DHS Digital to take on every project with the utmost confidence that your project is in good hands. Host websites. The reason for this is that we have already partnered with some of the most reputable hosting providers in the world. 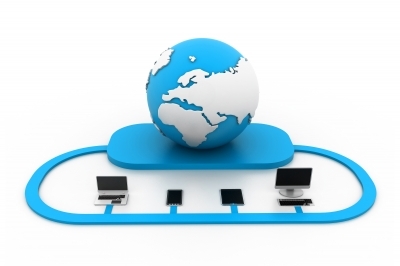 Hosting Companies own and maintain their own servers with IT Professionals. We leave this in the hands of IT Professionals and this type of offering is a solution, not a service. Use our own proprietary software. Most web development companies have built their own proprietary software SO YOU CAN NEVER LEAVE THEM! Unfortunately, that means any time you need to make a change, update, or improvement, they have no choice to get involved and collect your money again and this is obviously the purpose of them using their own software. We have never and will never engage in this type of business. We use some of the most scalable and Enterprise level software including Joomla, Drupal and Magento to name a few. For a new guy to SEO the choices of company's is overwhelming. My first experience with a company from India definitly made me apprehensive of ALL SEO providers,....... until I teamed up with DHS. They walked me through, without high pressure, every step including a total redesign of my site. Questions I had were answered very promptly, often verbally by the CEO himself! These guys listened to what I needed and custom tailored a site for me. Not only was our click through rate a steady climb, pricing was clear, above board and very competitive. This company clearly has amazing talent on board, using nothing but "white hat" techniques. When I need SEO work in the future there is only ONE choice for me, due in no small part to their EXEMPLARY CUSTOMER SERVICE. Brian's down-to-earth personality allows for a great working relationship. The work I have contracted to DHS Digital has always been done with quality and punctuality in mind. Brian's team was instrumental in my re-branding project for Midwesco in 2007 and worked within my budget. D. Lowman, Marketing Communications and Database Manager, Midwesco Filter Resources, Inc.
DHS Digital took the outline of our dream for a website and created an attractive, warm, inviting website for our users. Building our website from the ground up was no easy task. We had many special requests that DHS had to deal with, but they managed to take each request and turn it into a reality. They worked long and hard hours on our site and I couldn’t be more pleased with the extraordinary job they did and the outcome they achieved. The number of visitors to our site has increased, as well as the number and monetary amount of donations. I would highly recommend DHS Digital. DHS helped us develop our first user-friendly website with mobile technology. We approached them last year with a difficult task to create a member-based website that interacts with mobile phones. Regardless of how many changes we requested, they continually exceeded our demands. We could not be more pleased with the success of our website thus far. 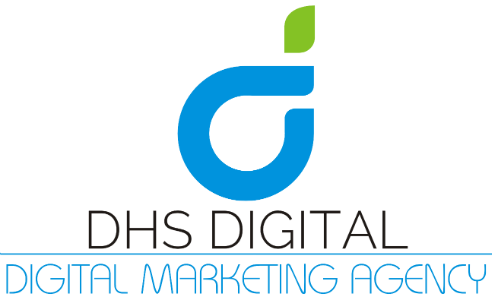 Thanks to DHS Digital's experience in search engine optimization, the number of visitors to our site has increased time and time again. We set our goals very high and DHS Digital still surpassed them. We would highly recommend them to anyone interested in developing a great site with superior optimization. Our old website needed far more than a facelift, it needed to incorporate lead generation and search engine optimization components that would set us apart from our competition. DHS's thorough understanding of the technical aspects of web development as well as the intricacies of search engine optimization coupled with a great eye for detail and design allowed them to create a website that far exceeded our lofty expectations for the project. We presented them with a laundry list of challenges throughout the development process and they worked closely with us to come up with innovative solutions for every one of them. It was abundantly clear in working with them that they cared as much about the project as we did. In the end, they delivered us a website that not only looks amazing, but we have seen a dramatic increase in traffic and the site has already generated an astonishing number of new leads and sales. I would highly recommend DHS to anyone in the market for a web developer who has a thorough understanding of what it takes to make a website stand out and get found on the web today. Since 2005, we’ve been at the forefront of cost-effective Digital Marketing Solutions. Since then our main focus has been to deliver solutions that provide results! We’ve worked with some of the largest websites online including many start-ups. We’ve also won countless awards from Top SEO Company, Top Social Media Company, and Top Web Development Company and most recently being named one of the Top 25 Internet Companies On The Planet In The New York Times Best Selling Book “Get Rich Click”!